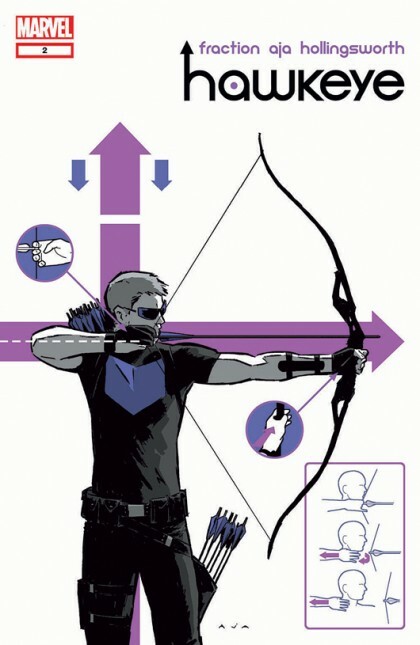 Hawkeye makes my list, not because I’m a diehard fan of the character, but because creators Matt Fraction and David Aja finally made a Hawkeye book worth reading. Fraction’s writing is at its best in years, and Aja channels greats like David Mazzucchelli and Alex Toth. Together the two have crafted character driven stories evoking classic seventies crime films. It’s solid, straightforward comics, and should rightly wind up on several best of the year lists. Favorite Non-Superhero Book of 2012: Mind Mgmt: You can click HERE for my more in depth review of Mind Mgmt #1-5, but in a nutshell, the book is a multi-layered mash up of some classic elements of espionage and science fiction. You’ve got strange psychics and mysterious government agencies, killers and cases of unexplicable mass amnesia. 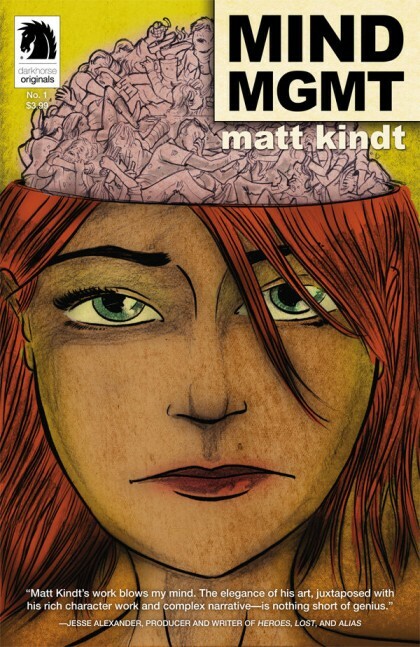 And while it might take some time to see how all the threads are connected, writer/artist Matt Kindt keeps a constant pace throughout. There’s rarely a lull in the action or suspense. This would all be reason enough to make it a great book, but then you have to factor in all the bonus material that Kindt puts into each single issue. When you think about the amount of work he does on this series, it’s quite staggering, but more importantly, still entertaining. Favorite Original Graphic Novel of 2012: Building Stories: I wanted to pick something else, honest. Still, though, I kept coming back around to this massive tome. It’s probably due to the fact that no other cartoonist this year created something with the same scope as Building Stories. 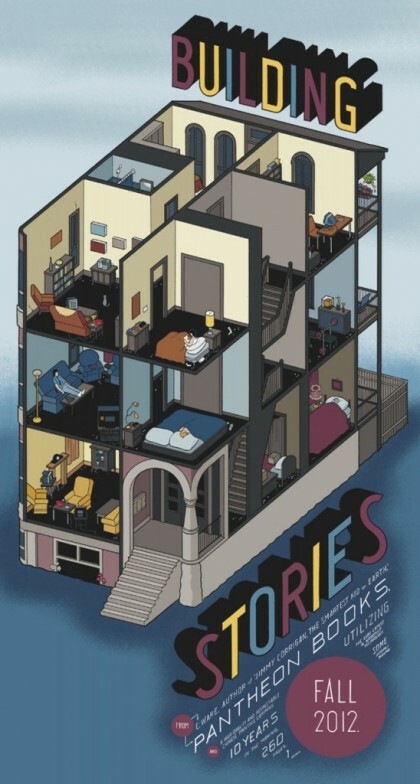 Chris Ware made a giant set of interconnected stories about the lives of the tenants in a Chicago apartment building, and lets it unfold in a series of various-sized pamphlets, books, newspapers all available in a beautifully designed box. That’s the other kicker for me: it’s a box full of stories that can be read in any order, and that can’t truly be experienced in a digital format. Ware made this as a love letter to comics and printed media in general, and as one whose livelihood depends on printed media, it’s something I respect and appreciate. Favorite All Ages Book of 2012: Snarked: This series never lets me down. 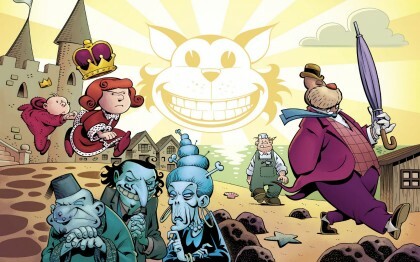 It’s all written and drawn by Roger Langridge, who will go down as one of our era’s finest cartoonists. If you need convincing, just ask me or Andy Mansell next time you see us in the store. Snarked works on so many different levels. The literary minded among you can appreciate how it’s based on the works of Lewis Carroll, the visually minded among you can marvel at his incredible line work, and kids can enjoy the silly humor. It’s a true all ages comic that manages to appeal to…well…all ages. 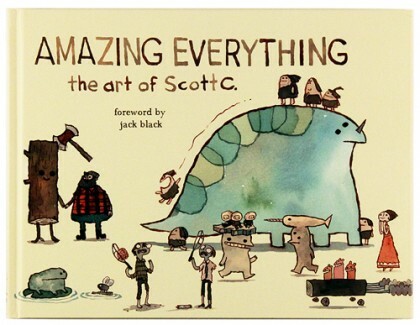 Favorite Art Book of 2012: Amazing Everything: The Art of Scott C.: I’ve been a fan of cartoonist Scott C. for a few years now, but when I picked this up at HeroesCon this year, it quickly became my favorite thing he’s done. It’s full of charm and humor, and may be the best escapist book I picked up in 2012. It’s hard not to get lost in Scott’s paintings. There’s usually a joke or two in each piece, sometimes it’s in the concept, sometimes it’s small and hiding in the piece. There’s an innocence to Scott’s art, but I’m sure it’s a hard fought innocence. The paintings feel like they were created with a child-like stream of consciousness, but still with the skill of a professional artist. They remind me of how and why I used to draw as a child, and why I still love comics all these years later. There are surely other books I could’ve added to my list, but in putting this together I kept coming back around to these books particular books because there’s an element of joy in all of them. It’s more obvious in some than others, but I still feel like these books were created out of love for comics themselves. Whether you work in or around comics, or just shop here when you can, I think it’s important for all of us to find and maintain our love for comics. Reading books you genuinely enjoy will not only keep you from becoming a jaded reader, but will foster a sense of open-mindedness in the kinds of books you read. Great list! 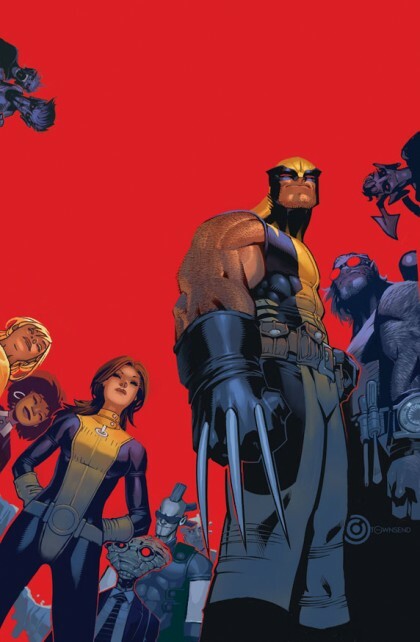 I totally agree about “Wolverine & The X-Men” and “Hawkeye”. I’m a little behind on “Mind Mgmt”, but agree that it’s definitley intriguing. I still need to pick up “Building Stories”; I’ve repeatedly heard it’s a great read. Thanks Seth– and thanks for turning me onto Building Stories. It has made every single major Top Ten fiction (non comic based) book list I’ve seen.